There are some interesting words at the beginning of John’s Gospel—words that appear to drive a wedge between Moses and Jesus. The words go like this: “For the law was given through Moses; grace and truth came through Jesus Christ” (John 1:17 NIV). These words are noteworthy because of the implied converse: Grace and truth do not come through Moses; the law was not given through Jesus Christ. Distinctions like this one—telling the difference between Law and Grace—are the hallmark of the Lutheran understanding of, well, just about everything. Now the first sermon, and doctrine, is the law of God. The second is the gospel. These two sermons are not the same. Therefore we must have a good grasp of the matter in order to know how to differentiate between them. We must know what the law is, and what the gospel is. The law commands and requires us to do certain things. The law is thus directed solely to our behavior and consists in making requirements. For God speaks through the law, saying, “Do this, avoid that, this is what I expect of you.” The gospel, however, does not preach what we are to do or to avoid. It sets up no requirements but reverses the approach of the law, does the very opposite, and says, “This is what God has done for you; he has let his Son be made flesh for you, has let him be put to death for your sake.” So, then, there are two kinds of doctrine and two kinds of works, those of God and those of men. Just as we and God are separated from one another, so also these two doctrines are widely separated from one another. For the gospel teaches exclusively what has been given us by God, and not—as in the case of the law—what we are to do and give to God. Keep in mind that the Word of God is (a) very sharp and (b) stickin’ it to you. Yeah, that’s in the Bible: “The word of God is living and active, sharper than any two-edged sword, piercing until it divides soul from spirit, joints from marrow; it is able to judge the thoughts and intentions of the heart” (Hebrews 4:12 NRSV). You may think that you are reading the word of God in scripture or hearing the Word of God in a sermon. In reality, as you are reading or hearing, the Word of God is acting upon you, doing a number on you. Understood in terms of Law and Gospel, the Word of God is (a) putting sinners to death with the unremitting pronouncement of commandments and punishments—including the punishment of death—and (b) raising up saints with the unrelenting pronouncement of the unmerited grace, forgiveness, and new and eternal life given in Jesus Christ. Remember that Law and Gospel are necessarily related and therefore cannot be separated. This is why Lutheran Christians prefer to talk about “distinguishing” or “discerning” Law and Gospel, rather than separating Law from Gospel. Just as the words of the Bible are bound up into a single authoritative and holy scripture, so, too, are the words of law and gospel bound up into a single divine Word that does what God wants it to do (see Isaiah 55:11-12). Biblically speaking, faithfully confessing, you can neither have law without gospel, nor gospel without law. If you read and apply the word of God as law only, you get legalism. If you read and apply the word of God as gospel only, you get antinomianism (the belief that the law has no use). Do not confuse Law and Gospel. The previous sentence is intentionally stated as a law (rather than a guideline). Perhaps even more dangerous than separating Law from Gospel is confusing the Law with the Gospel, or vice versa. Confusing Law and Gospel has the result of replacing faith in Christ’s work with faith in one’s own work—which amounts to no faith at all. One common way in which law and gospel are confused is when we imagine that we make ourselves eternally right with God by deciding to do what God wants us to do. For example, in a popular religious tract called the “Four Spiritual Laws” it is insisted that one must “receive Jesus Christ by faith, as an act of the will.” Such a “law” appears to make faith ultimately a matter of our own doing. Lutherans instead insist (with the Apostle Paul) that “by grace you have been saved through faith, and this is not your own doing; it is the gift of God—not the result of works, so that no one may boast” (Ephesians 2:8-9, NRSV). Look for how Law and Gospel function literally. Law and Gospel can be discerned in the message of the bible or in the message of the preacher or, really, in any kind of message. Wherever and however you encounter a message, ask: what is the literal sense? Is that message worded as a command? Is it telling me to do something? Does it contain a quid pro quo (“If you do X, then you’ll get Y”)? Is there an implied consequence for not heeding the message? If so, you are likely dealing with the law. On the other hand, if the message declares that something good is going to happen, something to your benefit, and that the promised blessing does not depend on your attitude or activity, then you are almost certainly dealing with a word of grace, that is, unearned favor, that is, Gospel. Tell the difference between Law and Gospel. You’ll note that throughout this little essay, the phrase “tell the difference between Law and Gospel” has been used. Usually, when you are asked if you can tell the difference between two things you are really just being asked whether you know or understand the difference between two things. But when you are being asked to tell the difference between Law and Gospel, you are being asked to do more than merely know or understand the difference. In addition, you are being asked literally to tell it—to speak it, talk about it, declare it, proclaim it! For Lutheran Christians, telling the difference between Law and Gospel especially means preaching the difference between Law and Gospel. For when you preach it, faith will come (Romans 10:14-17). “Four Spiritual Laws English,” http://www.campuscrusade.com/fourlawseng.htm, last accessed April 3, 2011. I just stumbled on your blog this morning and have subscribed. 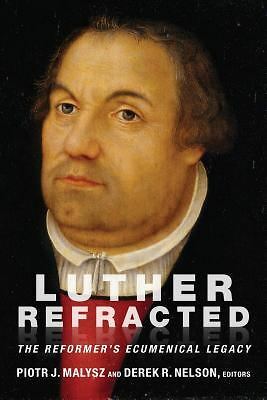 I was in the process of searching for Luther’s teaching on “what is above you” and “what is beneath you,” i.e., the distinctively different uses of law and gospel and the spheres in which they function. I was introduced to Lutheran theology through Gerharde Forde some years ago and would love to read him on the issue. Can anyone tell me if he has written on this distinction (above and beneath),and if so, in which of his books? Forde mentions the above/below distinction in most of his writings, although mainly in the context of his attempts to support Luther’s case for a bound will. There’s a paragraph on what kinds of things are “below” on pp. 65f of his “Work of Christ” locus in Christian Dogmatics. But, as usual, most of the paragraphs here are to make the point about what it means to be bound according to the “things above” (namely, God!). The same is true of his treatment of the above/below distinction toward the start of “The Problem of the Will” section of On Being a Theologian of the Cross. Thanks, Hans. I have Theologian of the Cross and will track down Work of Christ in Dogmatics. This brief article on telling the difference between Law and Gospel is very helpful. I wish it had gone deeper into the subject than it did.